When is the big day? Well, we had a due date set, but with twins, it gets a little more unpredictable with due dates, so right now we’re going to say “sometime in September” and that’s all we’ve got to say about that! 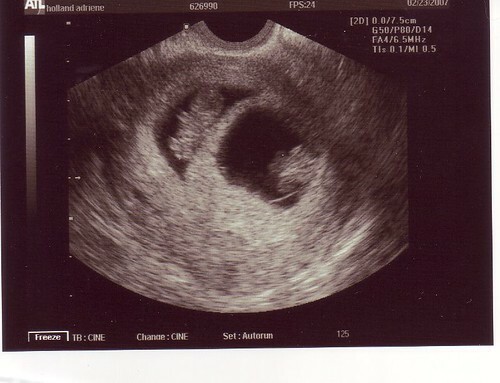 Then when we had the ultrasound on Friday, we found out even bigger news. We are having twins! Things just got a whole lot crazier! We hope you enjoy this site. We’ll be posting updates and info as we go along and after the birth, this will be the place for pictures and such. We’re going to try not to gross you out or scare you off with all the disgusting stories about raising children that fill blogs about babies, but hopefully you’ll get to read a little of the humor, grace, and love that God brings into a family when children arrive. We welcome your comments and hope you’ll keep in touch!